Historic Virginia Beach Oceanfront Beach Rental Cottage,A TRULY UNIQUE OCEANFRONT BEACH HOME, LOADED WITH HISTORY AND CHARM. BEAUTIFUL PORCH WITH A GRASSY BACKYARD WHICH LEADS RIGHT ONTO THE BEACH. SPECTACULAR VIEWS! This truly classic oceanfront beach home is loaded with history and charm. During your week at the beach, enjoy the spacious and open living area that leads to a beautiful sun porch with gorgeous flooring. The screened porch overlooking the large backyard and beach is perfect for enjoying the sun rising over the ocean. Spectacular views from almost every room, this home can sleep up to 10 people. The guest quarters on the side of the house can accommodate 2 more with an additional lodging fee. Ride your bike along Oceanfront Avenue or enjoy the sunrise in the Adirondack chairs overlooking the ocean. 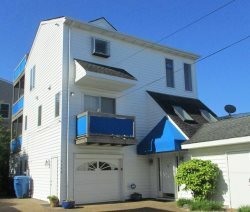 Located in the heart of Virginia Beach's North End, the home is also close to First Landing State Park and the Virginia Beach Boardwalk. © 2019 | Howard Hanna - All rights reserved.